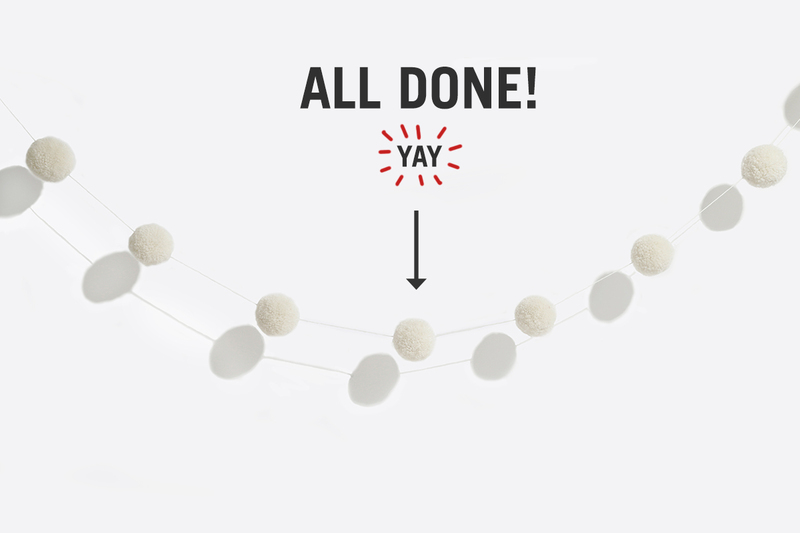 On the 7th Day of Making we’re showing you how to make a Pom Pom Garland! This is a quick and easy project for all skill levels. Tackle it alone or make light work by having your friends and/or family get involved. It’s easy for young‘ns and for those that aren’t all that confident in their crafting abilities plus the end result means your home will be looking fun and festive in no time! Approx. 200g of aran weight yarn. We have used 2 balls of Wool Me Tender in Ivory White but feel free to mix and match with colours that tickle your fancy. 2 meters (or desired length) of strong twine or lightweight cotton yarn. We have used Shiny Happy Cotton in Ivory White. A sewing needle large enough to thread your cotton or twine. 1 x small pom pom maker or large sheet of cardboard/heavy paper. 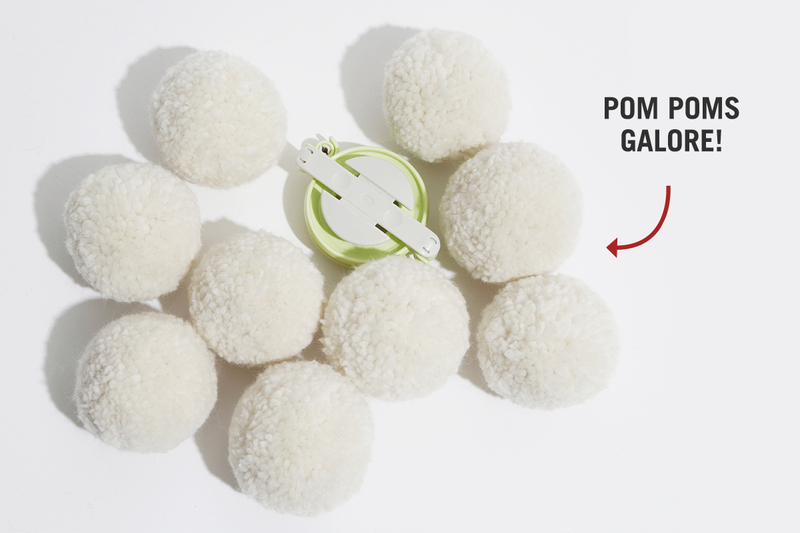 We have used 1 x 65mm/2.5 inch pom pom maker. A pair of small, sharp scissors. 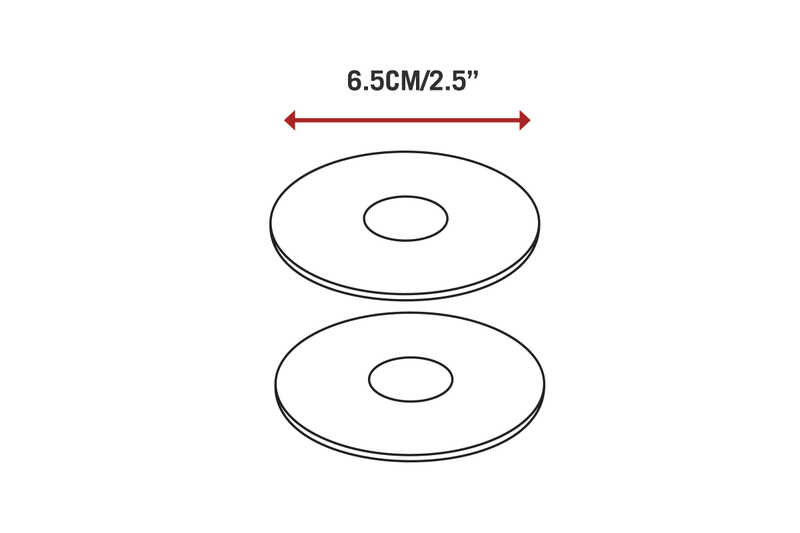 Cut two cardboard circles, 7.5cm/3” in diameter, with a 2.5cm/1” hole in the centre. Using the sewing needle threaded with a long strand of yarn, hold the circles together and wind the yarn around the circle until it runs out. Cut another length of yarn, and continue winding yarn around the cardboard circles until the card is covered and the hole closes up. 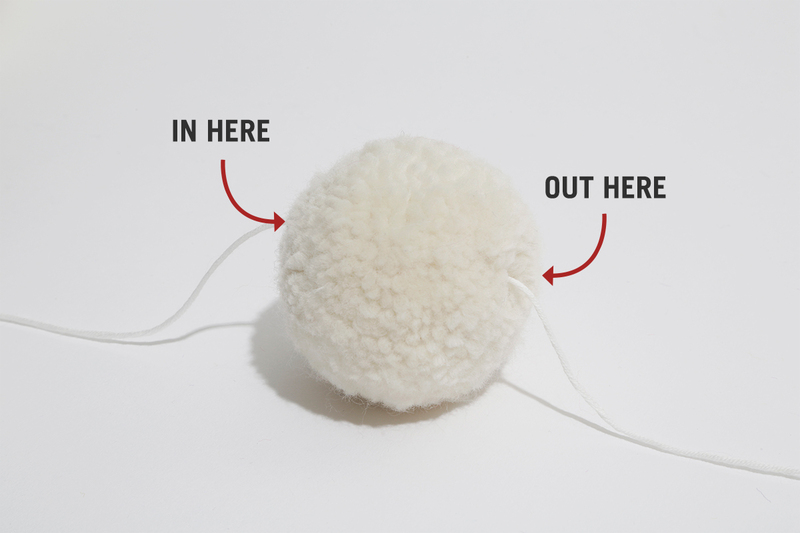 Using a pair of scissors, cut the yarn between the two pieces of card around the edge of the circle. 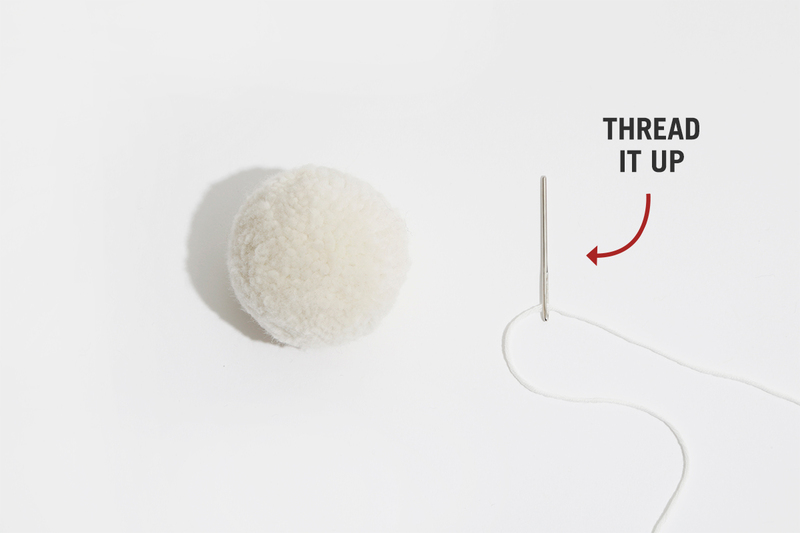 Tie a strand of yarn between the two cardboard circles to secure the centre of the pom pom, and fasten with a tight knot. Now remove the cardboard. 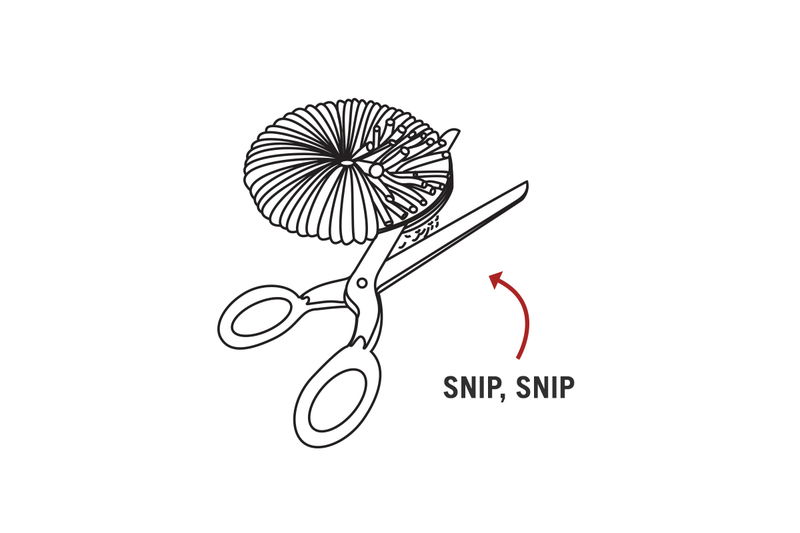 Tidy up your pom pom by trimming the shape with scissors. Look at those fluffy little fellas. Take your length of twine or cotton and thread it onto the sewing needle. 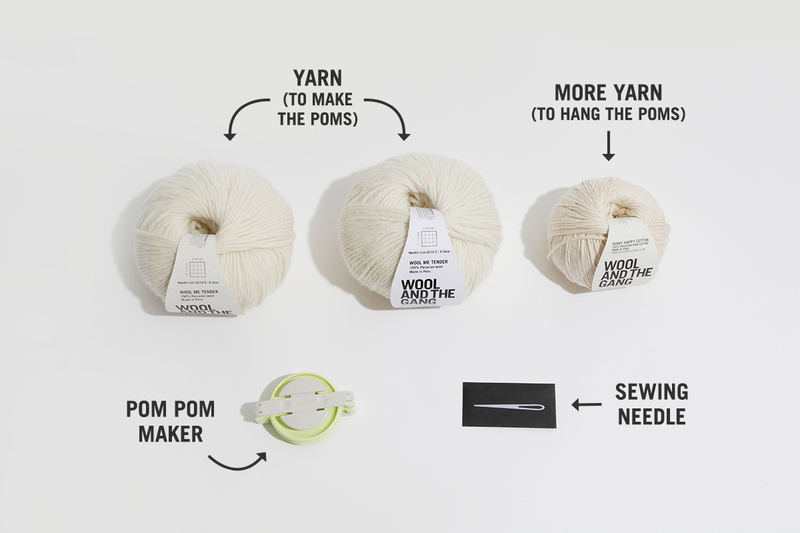 Take your first pom and poke the sewing needle through the pom from one side to the other. 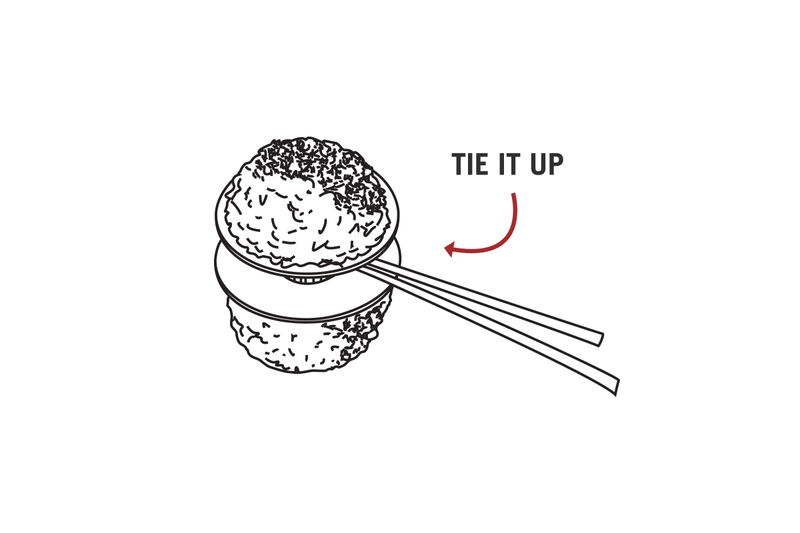 You can tie a little knot here to secure the pom in place or you can leave them unsecured for easy adjusting. Continue in this way, alternating large and small poms until you have attached all of your poms. THAT’S IT! 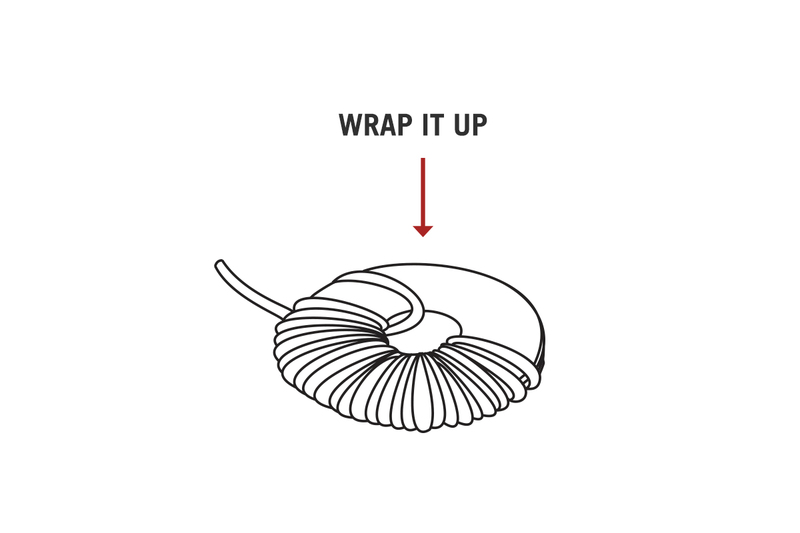 Pretty easy, right? Hang your garland in your favourite spot – a mantle piece is always a good one. This is post #7 in our ‘12 Days of Making’ series which sees us posting a new how-to project every day for 12 days. To see what’s up next, what came earlier and to make sure you don’t miss anything, follow us on Facebook, Twitter and Instagram for live updates. Happy making! 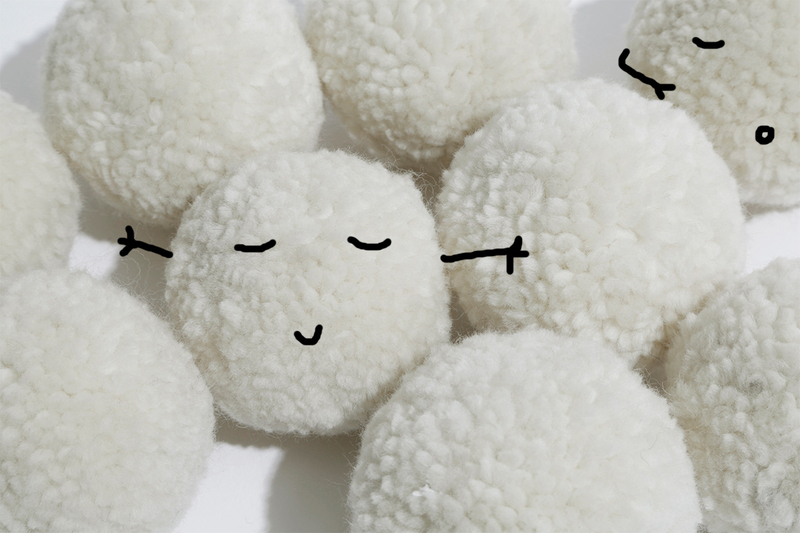 Adorable, one day my pompom’s will be that fluffy and I will be proud! !